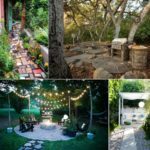 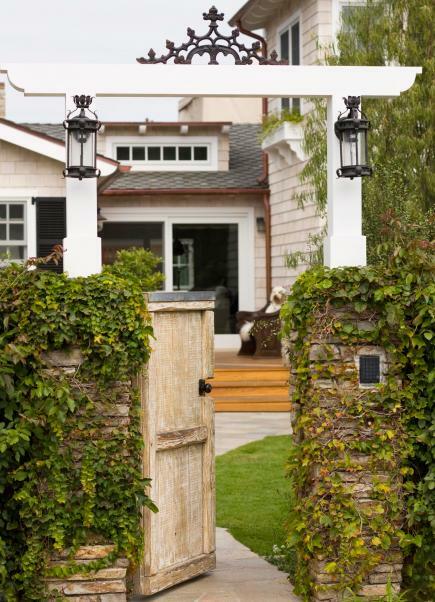 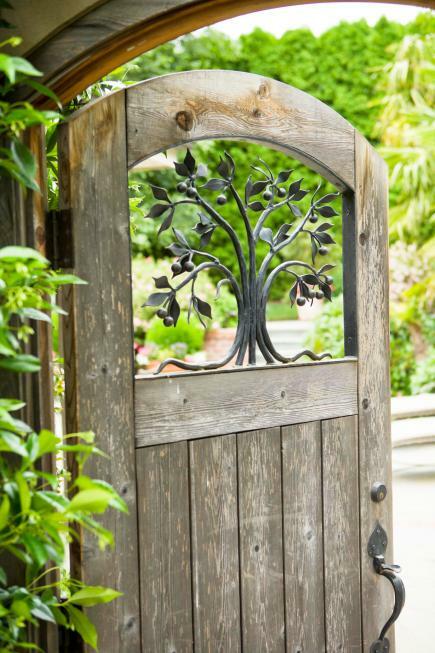 Sure, a garden gate marks the entrance to your property but it also gives a hint to what you fill find beyond it. 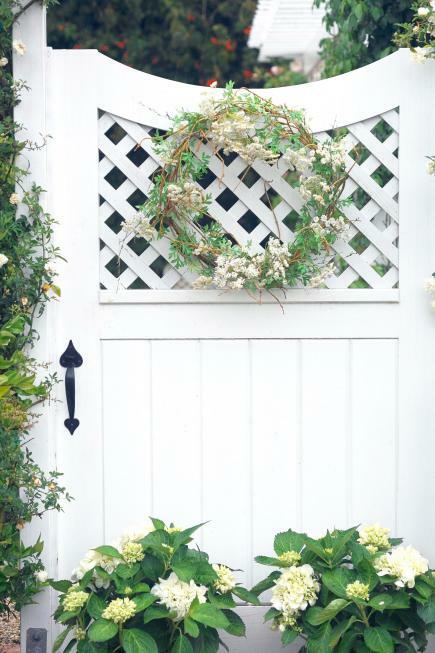 Have look and choose the one that reflects your style. 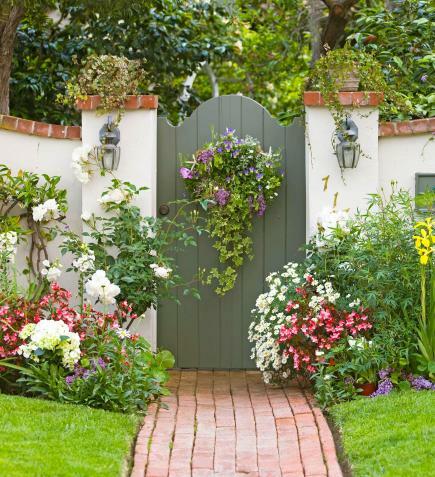 Pretty flowering plants frame this garden gate, creating a lovely doorway from the garden. 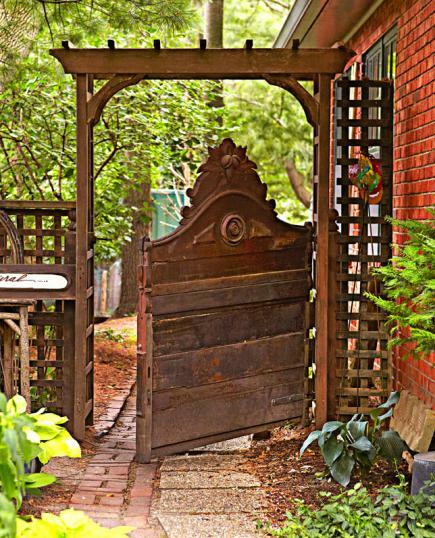 An antique wood headboard, trimmed to fit, becomes a gate between the front and back gardens. 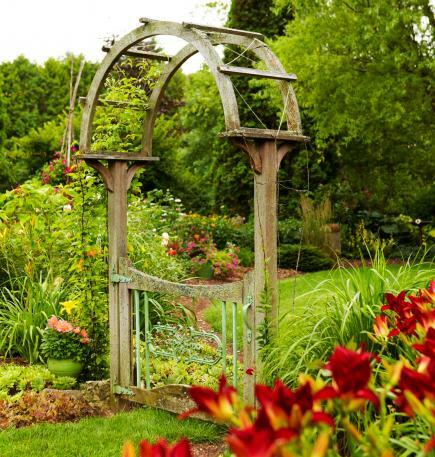 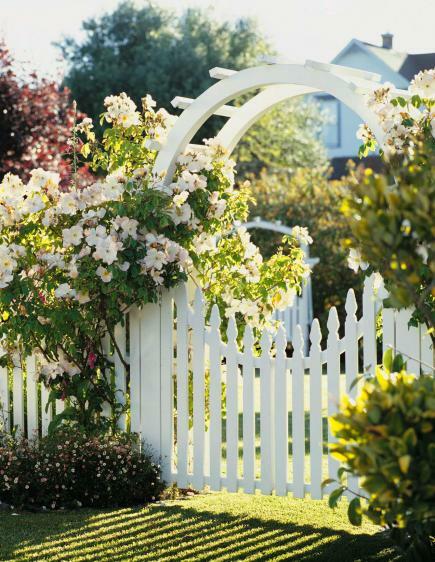 Roses billow over a classic gate and frame for a look that is pure romance. 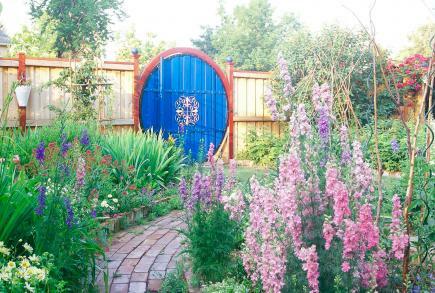 Note how the gate curves down, as a mirrior image of the frame to create a full circle, which draws the eye inward. 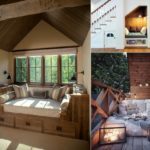 Though wood and metal are heavy building materials, the architecture keeps the look airy. 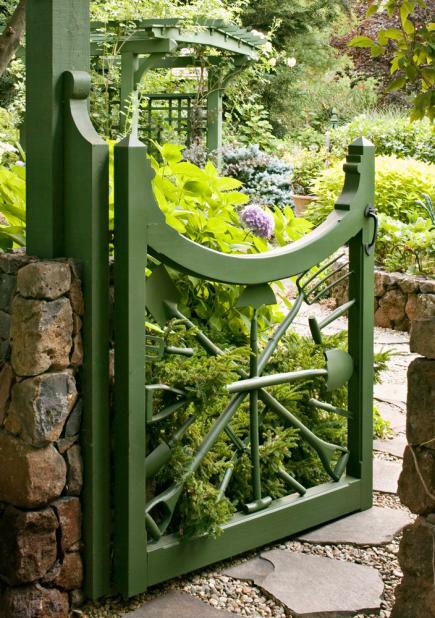 Because there’s only a living wall of plants as fence, this gate stands out as the only piece of hardscaping. 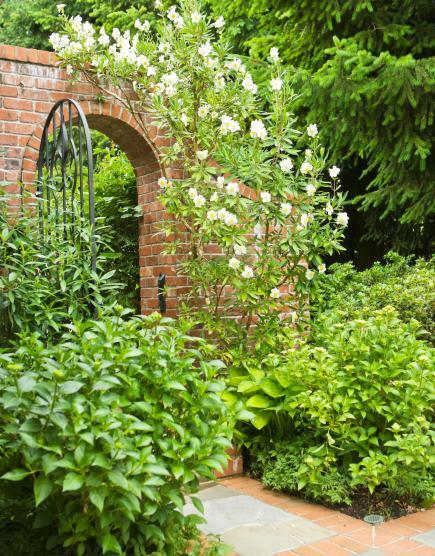 The arch top of the gate echoes the curving line of the wall, mitigating the solid nature of both these materials.